Wincell Brand - Zinc Chloride, 3x less power than alkaline, great in lower power drain devices. Winmax Brand - Up to 400% more digital alkaline power. Ideal for toys, MP3 players and other electronic devices. 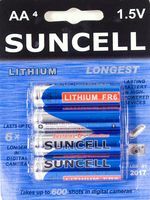 Suncell Brand - Extreme Lithium, lasts 6x longer than alkaline batteries. Ideal for cameras and high powered devices. Bulk batteries, Battery Importer supplies a wide range of brands and batteries and are able to supply any quantities your business requires. Great to see an Australian owned battery company had a really good write up about best value and performance AAA & AA Ultra Alkaline batteries. We are pleased to let you know that after testing your CR123A battery, and compared to other so called leading brands that we used to use in our system, "Winmax" has the best perfermance by far. And I am also very impressed with your friendly and fast service. AAA and AA battery sizes were used in our test very impressed with the new Winmax batteries. 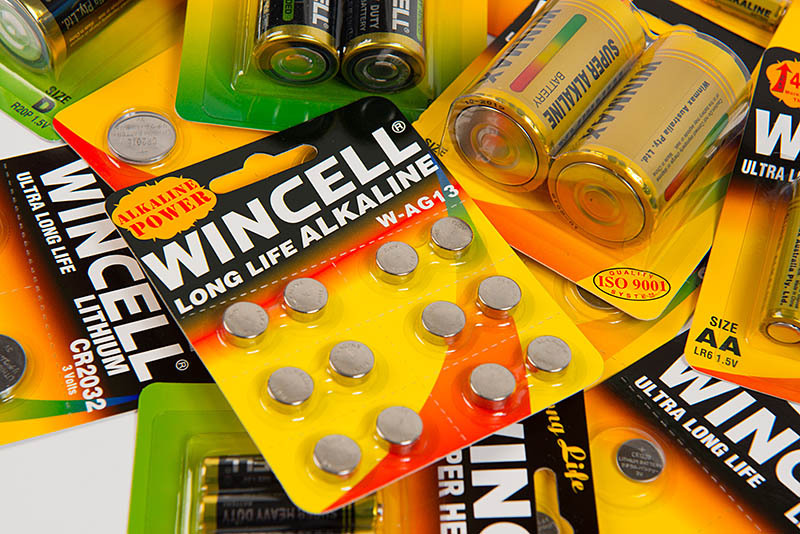 Bulk pack of batteries, AAA, AA are selling great to my customers, “Wincell” is the best selling batteries so far. Hi Guys, the battery retail stands arrived, batteries look bright and eye catching and I already sold 20 battery cards today! 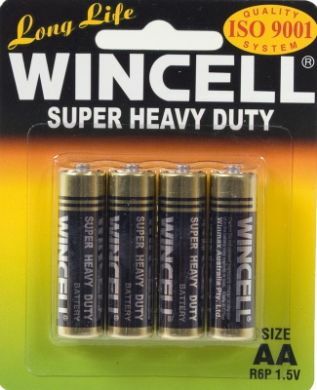 Wincell is the best value battery we have used and very reliable, Wincell will be our favourite battery to sell. Thanks Battery Importer! Very very impressed with the massive power of the new “400% up” in digital power Winmax battery. It is extremely powerful, I will be moving to your battery brand from now on. The lithium battery you recommended was perfect and reliable. Thank you very much for the fast service and advice about batteries. Could I become your battery wholesaler, I used Winmax batteries when I was on holidays and they perform better than my current battery brands. Battery Importer, the Winmax batteries were the best buy and best value batteries I have ever purchased. Move over Duracell and Energizer, Winmax is a great high power battery too. I thank you for the quick service and very good advice. The Wincell coin batteries worked a treat and lasted just as long as the Energizer brands. Service from you is much better than our last supplier of batteries. The Winmax range on your battery stand looks really good and stands out, I would like more battery information as customers are asking questions. Really happy I found Winmax. I just had to phone you to say in all the years I have been buying batteries, the Winmax batteries are the best I have ever used. I am 80 years young, and a very happy customer! Your battery product range is so easy to sell and the pamphlets really do help. Really happy to be one of your distributors. Thank you very much for allowing my company to be one of your wholesalers. The battery products are selling in and back out of our customers businesses extremely well. Winmax Australia, you have done well. 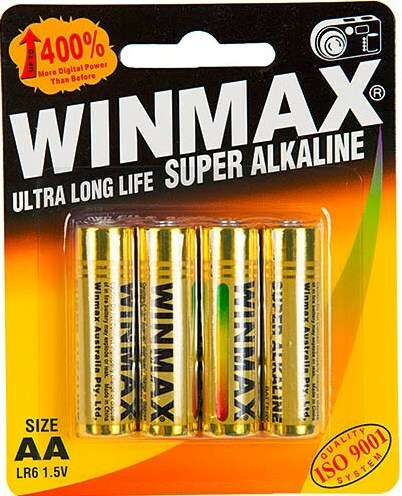 Best batteries I have ever used, best power I have ever got out of a battery "Winmax". It has been hard to find a battery brand or company that hold very large stock levels and I would like to say the service by Battery Importer has been extremely good. Best batteries up to date, the Winmax, Duracell, and Energizer was tested in our electrical products, and the Winmax was the best batteries compared to the Duracell and Energizer batteries. If you want down to earth reliable service and back up, this is the company. I have been a wholesaler for many years and absolutely no other supplier comes any where near these guys as a supplier. So contact them if you want to work long term with a switched on, go ahead and excellent helpful company. You are right, similar to the leading brands in power and reliability and it's great that I can talk with you "the owner" direct at anytime. Thanks mate. "Wow" Just an email to say that was the fastest order I have ever got, emailed at 9.30am and got it at 12pm Same Day! Thanks again! You are one of the few places that holds a large amount of stock and that makes my job so much easier, so I will recommend you to others in the future. We have been purchasing from the American brand Eveready, Energizer battery supplier and I have been extremely surprised at how many of my customers are pleased with the sales of your Winmax batteries. I would like to increase the range so please let me know if you have any new sizes. Really cheap prices on your batteries, I won some great new business. Thanks for all the quick service. Distributors, if your business is looking to distribute, export, import or for bulk purchases, contact Battery Importer for information and pricing. Whether you need Alkaline batteries, Zinc Chloride batteries, Lithium batteries, Ni-MH batteries in AA batteries, AAA batteries, AAAA batteries, 9 Volt batteries, C batteries, D batteries, 6 Volt batteries, Remote Alarm batteries, Coin batteries, Button batteries, Hearing Aid batteries, and Photo camera batteries, we have the battery for your needs. © Copyright 2006 - 2019 Battery Importer Australia All rights reserved.